Welcome to Rwanda Gorilla Trekking, a local tour operator offering personal service to tailor make the perfect gorilla safari holiday or trip you desire. 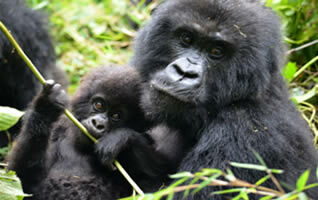 We offer the the best gorilla tours in Uganda, Rwanda and DR Congo at very affordable prices. 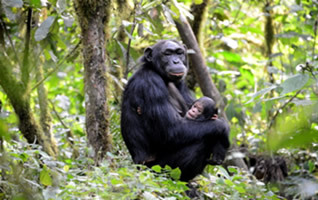 We also offer combined gorilla tours & wildlife safaris to Uganda, Rwanda and DR Congo. 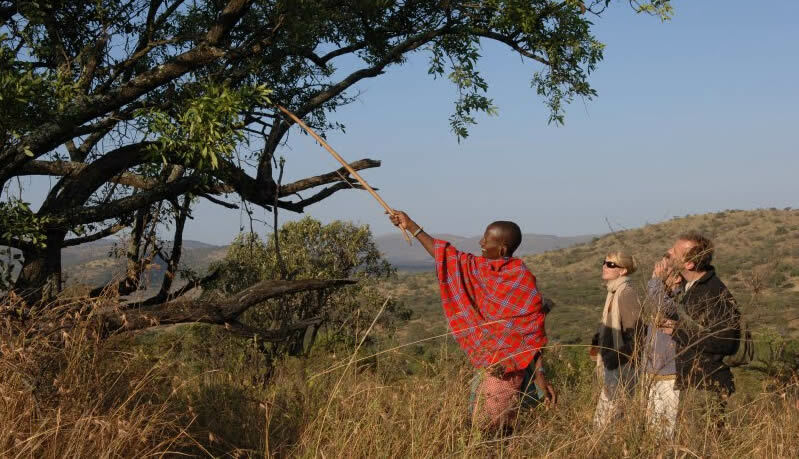 Are you looking to exploring the most interesting and off the beaten places in East and Central Africa? Look no further! We offer the best gorilla tracking packages in Rwanda and Uganda. Whatever your needs our experts will find the best deal for you! Our trips range from day excursions to multi-day adventures highlighting the best things to do and see in Uganda and Rwanda. We are the No.1 gorilla safari company in East Africa with reputable staff and experienced tour guides/drivers to assist you throughout your vacation booked with us. Join us on our exciting tours to see some of the few remaining endangered mountain gorillas in their natural habitat. Our experienced drivers will guide you on every safari as we search for the awe-inspiring primates in Volcanoes National Park Rwanda, Virunga National Park in DR Congo, Bwindi Impenetrable Forest and Mgahinga National Park in South Western Uganda. You can also combine your gorilla trekking tour with other adventures that include wildlife viewing, chimpanzee tracking or habituation experience, White water rafting, mountain climbing, birding, community tours and fantastic boat cruises among others. It’s such amazing wildlife experience to track gorillas twice in Volcanoes National Park. 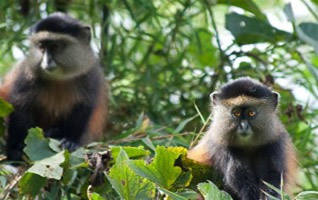 You have a chance to visit 2 habituated gorilla groups and golden monkeys on the 4 day Rwanda safari. Great opportunity to do 3 gorilla treks and golden monkeys on a single 5 day /4 night gorilla trekking Rwanda package in Parc National des Volcans. Uganda and Rwanda combination is also available. 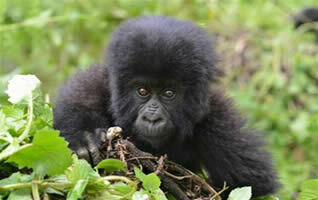 The tour goes to Volcanoes National Park for mountain gorilla trekking and golden monkey tracking or Mt. 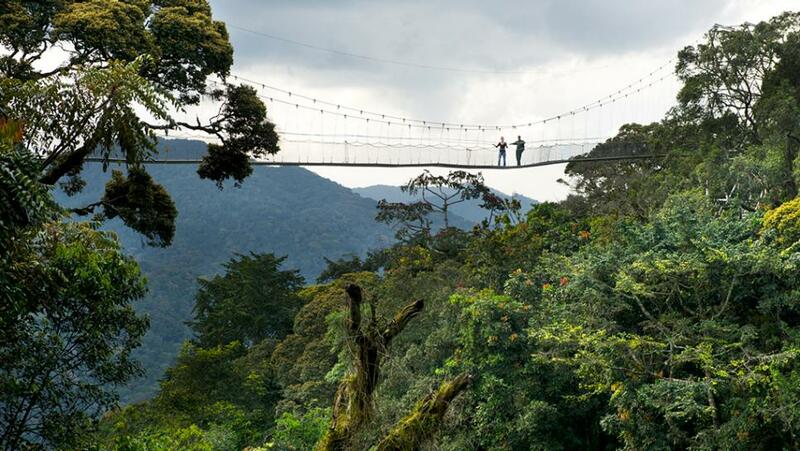 Vishoke hiking, then to Nyungwe Forest for Chimpanzees, Black and White Colobus Monkeys or Canopy walk. Ultimate gorilla adventure in Rwanda with three (03) gorilla treks in Parc National des Volcans, visit 3 different gorilla families, and then golden monkey, Cultural and genocide museums. 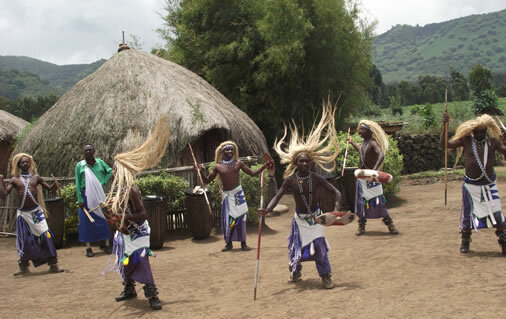 Explore all the hidden treasures of Rwanda on the 8 day Mountain gorilla safari in Africa, taking you to all Rwanda’s untamed parks, genocide memorials, cultural museums and local communities. 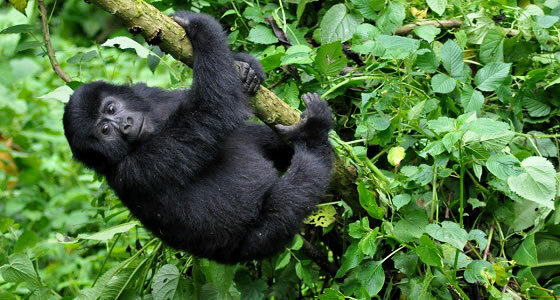 The 18 days Uganda Rwanda trekking safari goes to all Uganda’s major National park for a variety of wildlife viewing, chimpanzee and mountain gorilla trekking in both countries. African Jungle Adventures is a full member of the Association of Uganda Tour Operators (AUTO), Nature Uganda, Uganda Wildlife authority, Uganda Tourism Board (UTB), Rwanda Development Board, Africa Travel and Tourism Association (ATTA) and Friend a Gorilla. 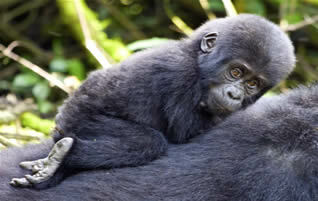 Gorilla trekking is most popular tourist activity in Rwanda and Uganda. It ranks as one of the world’s best adventures in Africa. Gorilla trekking is also known as gorilla tracking, takes place in only 3 countries in the world namely; Rwanda, Uganda and Democratic Congo Republic. These are the only places where you can see these Gentle Giants in their Natural Habitat. The trek in search for mountain gorillas is quiet strenuous, goes through steep and slippery jungle grounds. The hike can take between 1-7 hours depending on how gorillas move in their natural habitat. It also depends on how fast you move. If you have a slow person on the group, you are likely to take long on the trek. Cost of Gorilla Trekking Permits – How to Book a Gorilla Tour? First of all you must possess a gorilla permit that acts as permission for one to track gorillas. We book gorilla permits in Uganda and Rwanda. Each gorilla permit in Rwanda currently costs US$1500 for Foreign Non Residents and US$600 in Uganda (Mgahinga and Bwindi National Park. Then you must obtain Rwanda Visa. However, some countries are exempted from Rwanda Visa. Click here for details. The fact gorilla tourism is growing at a very fast in Rwanda, this has led to the establishment of many safari lodges on the edges of Volcanoes National Park and Musanze town for different levels / prices. High-End travelers choose Sabyinyo Silverback or Virunga Lodge. Deluxe options include Mountain Gorilla View lodge, Villa Gorilla Rwanda, Volcanoes Hotel Musanze, Gorilla Solution Lodge and Le Bambou Lodge. Among other accommodation options around around Volcanoes National Park include Hotel La Palme, Kinigi Guest House and Muhabura Hotel among others. Before you book a trip, take time read some safari reviews on major travel websites like Trip Advisor or Safari Bookings and Lonely Plane that will guide you about which company to use, estimated cost and where to stay. Your packing list should at least contain long sleeved shirt / blouse, long pants, hiking shoes, garden gloves, water and insect repellent. 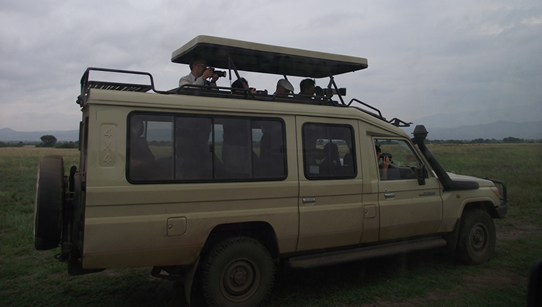 African Jungle Adventures organizes special and affordable tour packages combining different East African countries. Depending on one’s interests, we can organize safari packages combining Uganda and Rwanda with 2 or more gorilla treks, extend to Kenya, Tanzania and Zanzibar depending on time availability, budget and interests. Such tour packages are all-inclusive, that is, we book hotels, regional flights, activities and ground transportation. Contact us for free information and travel tips to East Africa. 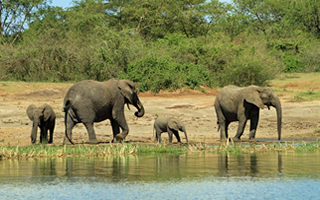 For more information about combined safari packages in East Africa, click here.